GREENVILLE, Wisconsin – Sister companies Advance Industrial Machine (AIM) and Midwest Sheet Metal & Fabrication LLC (MSM) have re-launched their combined website to provide customers with an updated look at their high quality machining and fabrication capabilities. The website, found at https://aim-msm.com/, features updated photos and information regarding the efficiencies available with the side-by-side setup of these companies. Dedicated teams in each facility provide the repair work, manufacturing of parts, building, and assembling services their customers need to minimize downtime and maximize profit. 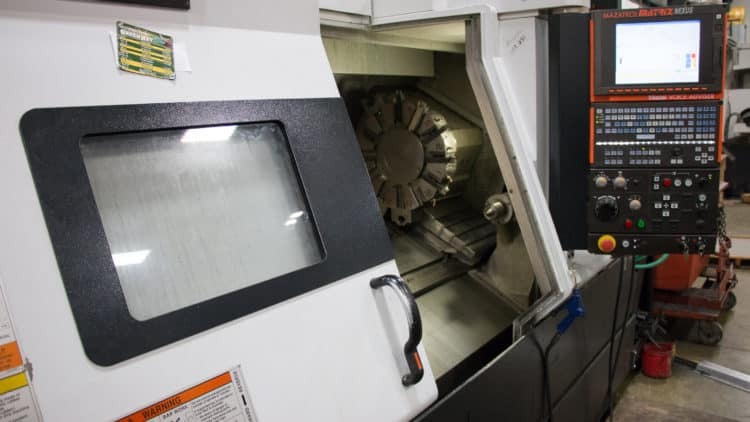 Advance Industrial Machine (AIM), founded in 1994, operates in a 44,000-square-foot building specially designed to meet the high-end machining processes required in modern industry. The company’s 16,000-square-foot assembly and inspection area features a 10-ton overhead crane with an 18-foot hook height. Ver Boort identified an additional market need for a local metal fabricating shop and launched Midwest Sheet Metal & Fabrication (MSM) in 1996. MSM operates out of a 15,000-square-foot facility next door to AIM. Its own team of highly skilled craftsmen provide repair work, sheet metal and fabrication and assembly services for a wide range of customers. For more information or to request a quote, please call AIM at 920-757-6786 or MSM at 920-757-9600, or fill out the contact form found at https://aim-msm.com/contact/. Copyright © 2019 Advance Industrial Machine and Midwest Sheet Metal. All rights reserved.